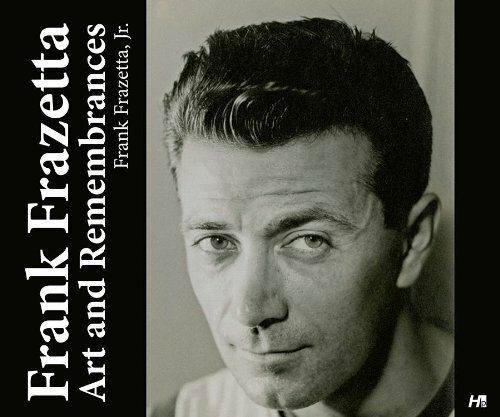 Frank Frazetta: Art and Remembrances is a book of remembrance, written in first account by Frank Frazetta Jr. It's a book that recounts his relationship with his father, and also gives a look at Frazetta Sr's early life. I did not expect this to be an artbook since there are already other books dedicated to that, such as Icon, Legacy and Testament just to name a few. The art and photos included here are great, even though you may have seen some in other books. It's certainly interesting to read about about Frazetta Sr's life from the perspective of an insider. There are stories of his childhood, how he was an amazing baseball story, about the hardship of starting out, and other cool stories. I've several issues with the book though. The main issue is that it's not detailed enough to provided a complete story of Frazetta Sr's life. It is mentioned in the book that Frazetta Sr's wife Ellie handled the business affairs but there wasn't much to read from her point of view. Frazetta Sr had other children and somehow their input are not included and it's not mentioned that how Frazetta Sr treated them, which I think is relevant because it's a book about his life. There aren't any photos of Frazetta Jr's siblings in the book. Alright, this book isn't a biography so I guess I can look through them. Then there's the issue with the museum and family feuding. It's mentioned in passing, but not elaborated, no doubt it was left out intentionally. The twist is so intriguing. The drama's not in this book. What a cliffhanger. Other issues I have are regarding the editing. Oftentimes, names of specific artworks are mentioned but they are not shown as examples. There are sections of the story that repeat. It's like they were copied and pasted to the back, but the editor forgot that they were already included in the front. Pictures are sometimes placed a few pages later rather than next to when they are first mentioned. The narrative doesn't flow quite well also, even though they are told in chronological order. There are also several errors caught by other book reviewers. When Frazetta Jr said he has a long complex relationship with his father, it truly shows. This book feels weird. There are things left out. The objectivity is slightly questionable. So to me, the book is rather disappointing considering the subject is fantasy art master Frank Frazetta. While it's not a biography, I still expected something more, complete. Fans of Frank Frazetta will be left wanting more after reading the last page. Hopefully, the family, after sorting out whatever that's wrong, would commission an accomplished writer to write a proper biography that Frank Frazetta truly deserves.